Manchester United have been linked with Gareth Bale for a long time and the latest reports in the media suggests that the Red Devils are ready to move to finally hire his services this summer. 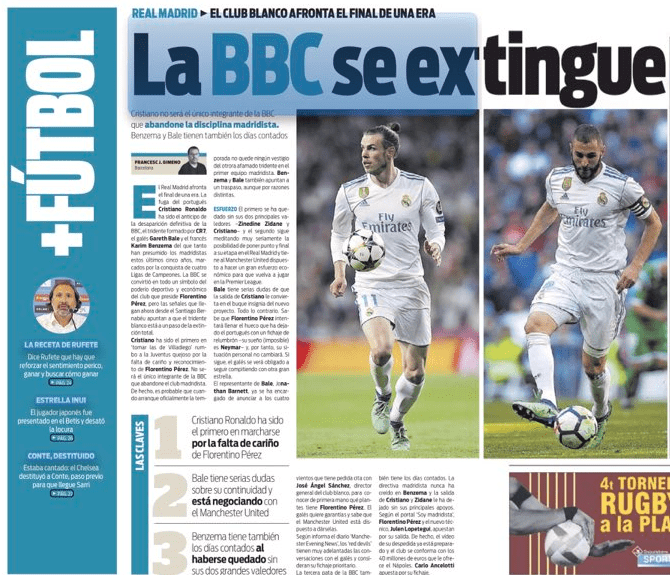 According to Sport, Cristiano Ronaldo has left the Los Blancos to move to Juventus and the days of Bale and Benzema at the Bernabeu are numbered. As far as the Welsh international is concerned, the Spanish source have mentioned that Man Utd are ready to move in with a great economic effort to bring him back to the Premier League. Bale wants to be the main man after the departure of Ronaldo but Sport have stated that the former Spurs playmaker knows that Real are looking to replace the Portuguese international with another superstar and therefore, his personal situation will not change at the club. The Catalan outlet have further mentioned that the 28-year-old playmaker, who is in negotiations with Man United, wants guarantees (perhaps a starring role) and knows that the Old Traffod club are willing to give him. United already have quality players like Mata, Martial, Lingard and Alexis Sanchez in the attacking midfield and Bale’s arrival will surely make the offense even stronger. However, United will likely have to pay record sums to secure his signature. Jose Mourinho might have to break the club’s transfer record to hire the services of the four time Champions League winner. Moreover, the Portuguese boss would have to make Bale the highest earner at the club as well. At the moment, former Arsenal man Sanchez is the highest earning player at Old Trafford and he gets £490,000-a-week before tax (Mirror Sport). Bale is currently earning a mammoth sum of £600,000-a-week before tax (The Guardian). In the past two years, more often than not, the versatile player has been on the sidelines due to injury concerns but he is arguably one of the best attackers in the world when fit. We shall see how the transfer saga unfolds.